This paper describes a platform for the user-centred design and evaluation of adaptive, context-aware services in the wireless, mobile and pervasive computing markets. 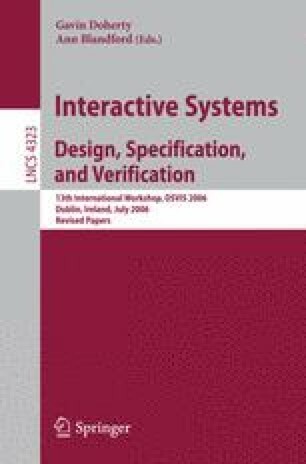 It focuses on evaluating the user interactions with context-aware adaptive systems while synchronising the control of the environmental context that drives adaptivity and the user’s perception of that environment. The platform uses a 3D virtual reality simulation to present the environment to the user and to drive the generation of simulated environmental context. The platform thereby delivers repeatable, instrumented, context-dependent evaluations of adaptive services over a range of contexts. It aims to reduce development costs and facilitate the development of more effective, user-empowering services.